Credit: Joaquim Goes/Columbia University. Download this image (JPG, 170 KB). 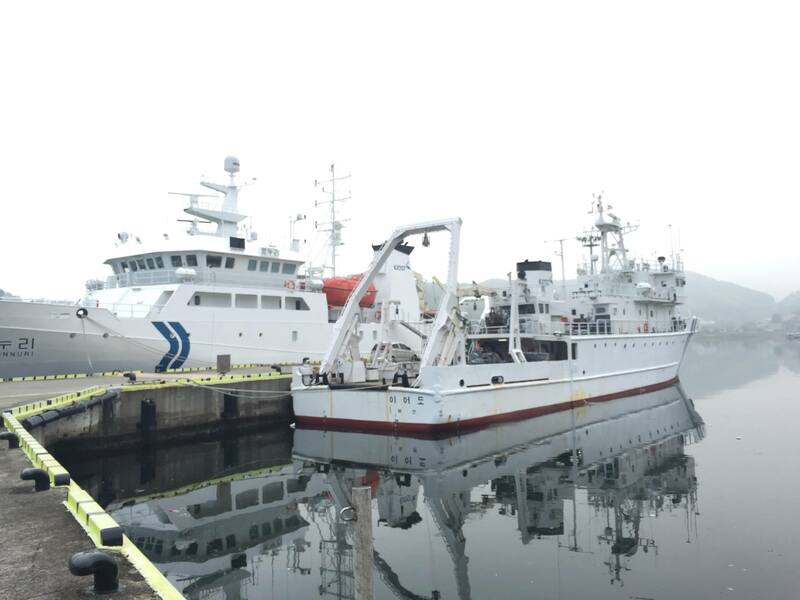 [08-Jun-16] Two research vessels, the R/V Onnuri and the R/V Eardo, used in the Korea - United States Ocean Color (KORUS-OC) Study rest in port after the conclusion of the campaign.